Here is our booklist. Check back often to see what we're publishing next. Are you an entrepreneur who just set up a listing on Amazon and wants to know what's ahead? From expanding your business and managing inventory to learning from the competition and fending off hijackers, Anthony Lee gives step-by-step advice on how to overcome obstacles and plan for the future.How to optimize your listing, how to communicate with seller central, how to manage your global business so you don't miss out on the rest of your life. 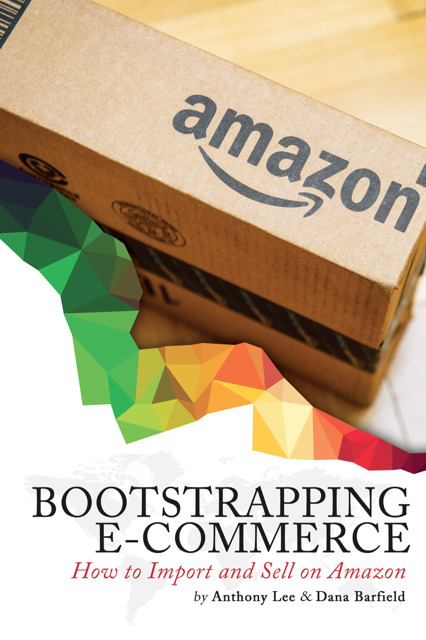 Bootstrapping E-Commerce: How to Import and Sell on Amazon is the first-hand, unfiltered account of how a former bartender managed to build a six-figure business from the ground up on a shoestring budget. E-commerce insider and bootstrapping success story Anthony Lee guides entrepreneurs through the steps of choosing a product to import , finding and negotiating with a supplier, navigating through logistics, building a brand, and launching a successful e-commerce business on Amazon. Packed with insider tips and advice you won’t find anywhere else, as well as powerful Next Steps sections that, if completed, will result in a business that’s up and running by the time you finish this book, Bootstrapping E-Commerce: How to Import and Sell on Amazon is the only guide you’ll need to make your e-commerce business a reality. “When we first started our business 2 years ago, we knew nothing about Amazon. We knew we needed someone’s expertise, and that expert happened to be Anthony. Anthony has the deepest working knowledge of the product launch process and strategy regarding Amazon’s constantly evolving search algorithm, bar none. He was critical to our initial growth and with his help, we were able to reach our goal of 6 figures in monthly revenue within 6 months. Sign up to receive updates on our awesome books!